He's loads of fun! The reindeer antler headband he's wearing is too cute! 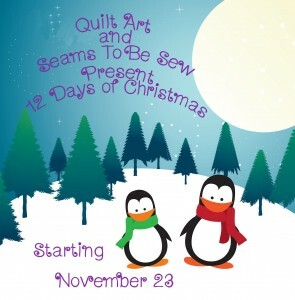 The day #1 - 10 is now on sale and available through Craftsy. ** I've got a message from Marian who hasn't been on the site for a few days - its because they have no internet connection and no telephone service either. She should be back by Tuesday and will post all of her cute tree patterns for us then. Thanks for all the Links on Friday - they're great! I love all the penguins popping up everywhere! Thanks for the wonderful patterns!! Oh....I LOVE the antlers!! Thanks so much. Very cute!! Thanks so much for the free pattern!